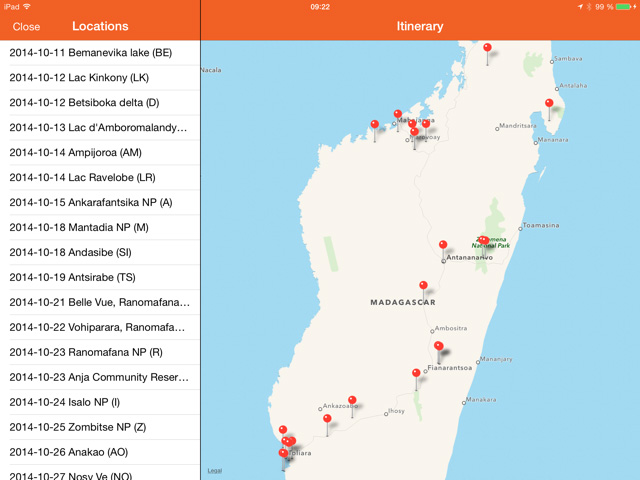 TripsPro includes Trips, but also a Control Tower function and customized branding of documents. Additional TripsPro services are under development. Why should I sign up for iGoTerra TripsPro? With Trips, you will create an controlled and standardized environment for your tour leaders, which helps them create high quality checklists and annotated trip lists with a minimum of administrative time. 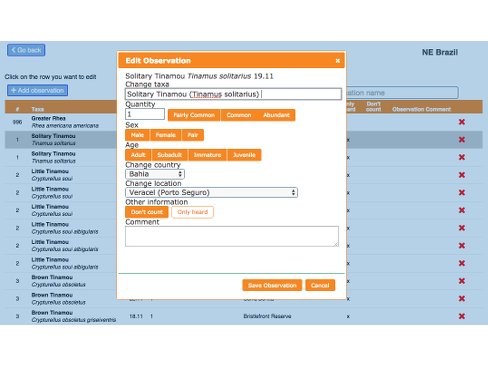 The entire administration becomes much more efficient and you will start creating a data base of observations which you can use in various contexts. 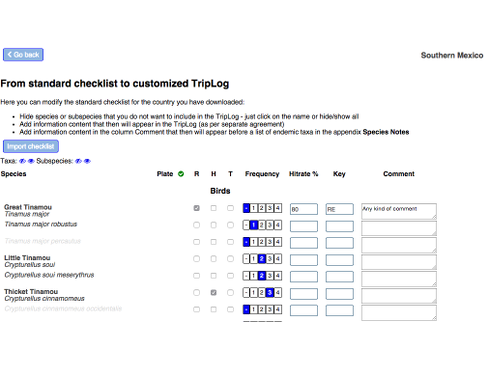 With TripsPro, your company will benefit from the Control Tower and through settings and branding you can create a consistent look-and-feel in your documentation towards you customers. Optionally, you can also get various kinds of statistics and integrate also booking and payment with our integrated modules. 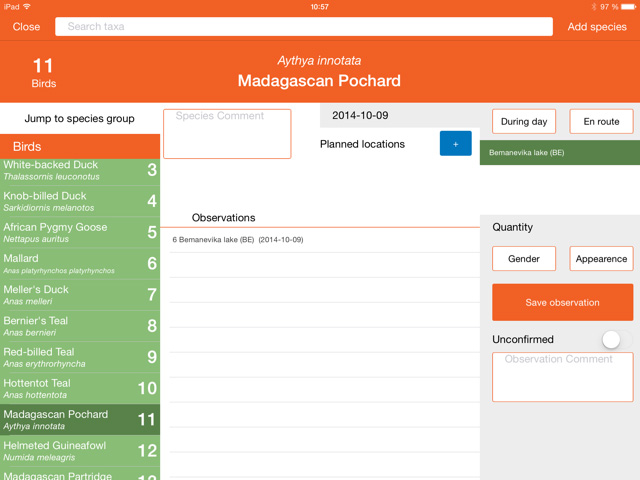 Your clients will benefit from updated checklists and can also e.g. create personalized checklists and copy observations to their personal accounts with ease. What is the cost of TripsPro? $150 for each trip created in the system. The service is invoiced monthly with 10 days payment terms. 100% variable cost - no start-up fee or fixed cost. To test the service you can create 2 trips for free. Company branding of documents is charged at $75 per hour. Contact us for a quotation. How can I use my observations for commercial purpose? 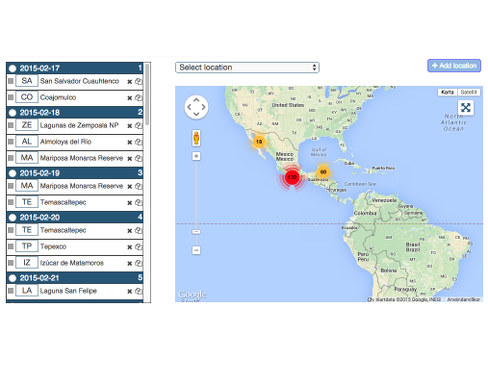 Your geo-coded observations will be saved in the database under your company name. 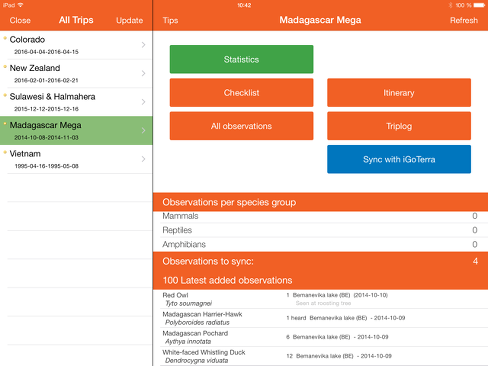 Aside from the internal statistics that is aggregated (and that can be used in various contexts), you can choose to publish these observations on iGoTerra alongside other observations. Someone interested in going on one of your trips to a specific country can filter out your observations to get a view on what can be expected. 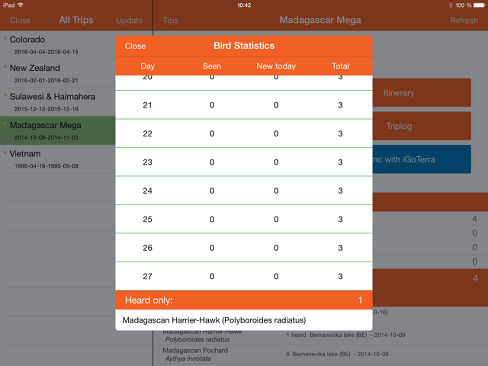 If you want bird observations to be synchronized with e.g. eBird, there is a tool to do exactly that. If you have company sensitive information about locations that you do not want to share, you simply do not specify the exact co-ordinates but refer to a wider area. How will TripsPro help me as a Tour Operator to save money and/or increase client value? 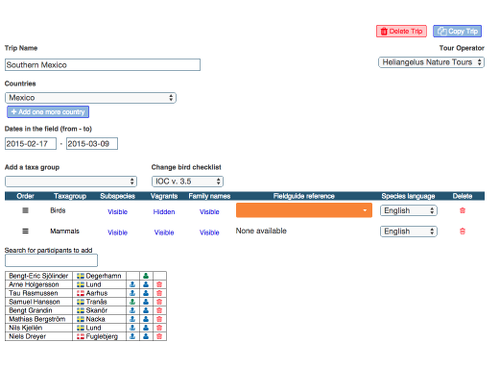 The time needed to prepare checklists and annotated trip reports is much reduced through our tools. Your tour leaders will need to spend at least a few days less on administrative work to prepare these documents. The quality and up-to-dateness of the information is much improved and you can produce the annotated list even before your clients arrive home! If they are iGoTerra paying members this means they can copy the observations to their own account rather than have to do this as a manual process. All the personal rankings are updated automatically of course. 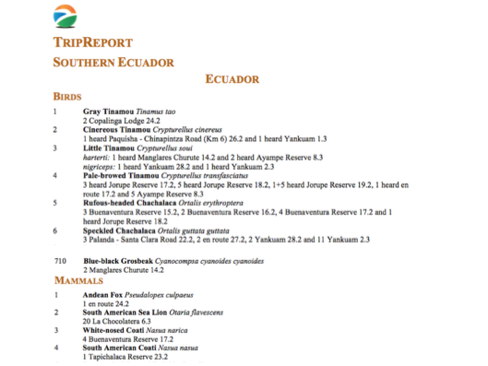 How can I customize and brand my tour company's trip checklists and reports? Aside from being able to determine the content that goes into both the checklist as well as the annotated report, we can design the layout of these documents to meet your company profile. We can configure it as it is today with or without modifications. When you for some reason want to rebrand just give us the spec and we'll fix it for you.